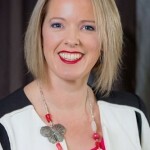 Workshops are kept to a maximum of 6 people and the investment is $220 for a single workshop or $390 for both workshops. Workshops run from 2 hours and are located in the Melbourne suburb of Doncaster East. Book Today as places are limited! Bespoke Image offer a range of workshops – maximum 10 participants at each workshop. If you are outside of Melbourne, workshops may be booked if you can get together a group of 8-10 people and book 2 different workshops which could be run on the one day. Have you ever wondered what your style personality is? Do you see other people, think ‘they look great’ try and copy their look, but it just doesn’t work for you? 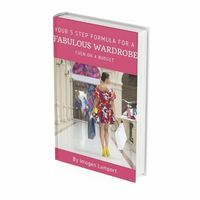 Is your wardrobe a hodge-podge of different clothing styles, some which work, but many that don’t make you feel great? Discover your clothing personality in this revealing workshop and find out which clothing styles suit the real you and will help you project a great first impression. Plus, understand your shopping personality and don’t waste time and money shopping in all the wrong places. Do you constantly get frustrated when you find nothing fits? Do things that look great on your similar sized friends look bad on you? It’s time to find out all about your body, and what works on it. We all usually blame our body for how our clothing looks, but it’s not your body, you’re just trying on the wrong clothes. Discover how to look taller, slimmer, shorter, curvier – whatever it is that you’d like to change about your shape, no extreme makeover required. Discover the secrets to travelling light using proven tips and techniques to keep your luggage to a minimum. Discover the art of taking only carry on luggage, whether it’s a weekend away or 3 weeks. Learn how to make multiple outfits from only a few garments. Do you want to look great in only 5 minutes a day? Discover the secrets of the five minute makeup. Learn how to highlight and camouflage with quick and easy techniques. Get advice on the best makeup colours to truely look your best.